Rat Problems - Pest Control | Bama Exterminating Co.
A couple domesticated rats can make exceptional pets. Domestic rats are as different from wild rats as your Golden Retriever is from a wolf. We do not intend by any means to condemn all rats as destructive pests. However, when people have problems with rats invading their homes, they are never the cute and lovable kind. Wild rats bring with them destruction and the risk of disease, and it is important for the health and property of families of Northport to have those risks minimized by an experienced and qualified pest control service. That’s where Bama Exterminating Co., comes in. But before we tell you more about ourselves, let’s take a look at how rats can damage your home and be a potential health hazard. It is important that homeowners take the initiative to monitor their homes for any signs of pests. 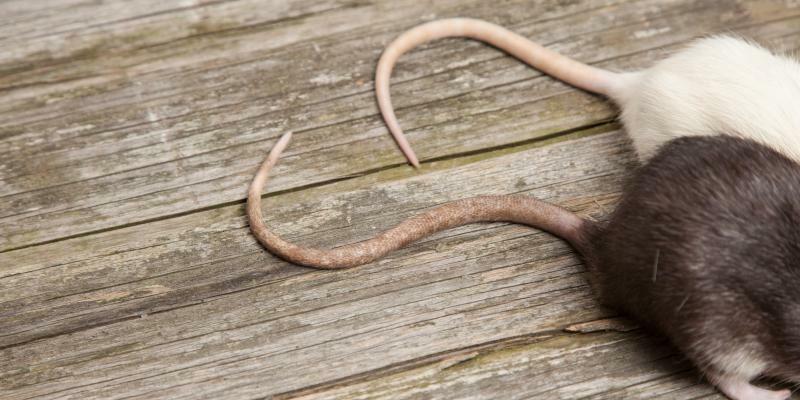 Rat infestations have a few, telltale signs that shouldn’t be ignored. Rat droppings are one of the easiest ways to identify the presence of rats in your home. Regular and careful investigation of dark corners and hidden spots in your home can go a long way towards the early detection of rats. Rat droppings look similar to those of mice but are larger in size. Rats also tend to leave trails of urine wherever they go. It can be identified by its musty scent. Even if droppings aren’t readily found, if there is evidence of gnawing then it is more than likely you have a mouse or rat infestation. Boxes and dry pet food bags are typically the hardest hit targets, as rats are attracted to “meaty” smells. Rats prefer to nest in the warm, safe places inside walls, cabinets, neglected dressers, and anywhere else they feel secure. While they are nocturnal, discerning ears will be able to hear rats scratching, squeaking, and scurrying about. It is also a good idea to be mindful of your pets’ behavior. It is likely that they will be more excitable if they sense rats are nearby. The wildlife removal team at Bama Exterminating Co. is specially equipped to deal with most wildlife management situations. If you suspect or have identified a rat infestation in your home, don’t wait to deal with the problem. Contact us today to eradicate your home of these dangerous pests for good.